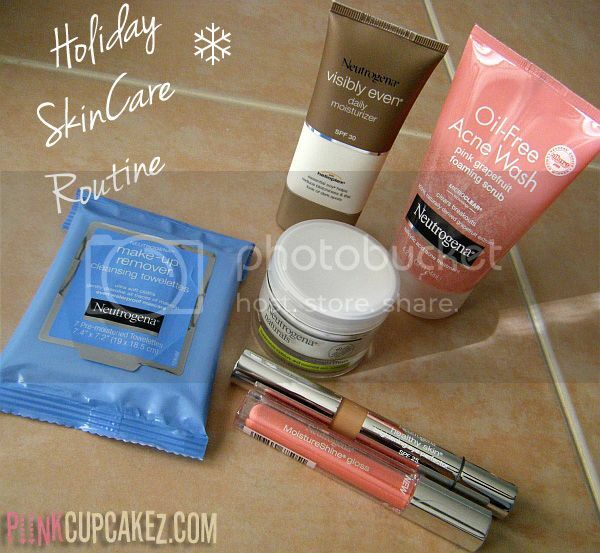 Neutrogena Tips For Radiant Skin This Holiday Season + Giveaway! We all love to look our best during the holidays, but our hair, accessories, and clothes are not all that counts. There is another very important aspect that we should never overlook, and that is our skin. As temperatures begin to drop, our skin suffers the effects of cold and dry weather. Proper hydration and daily care are of the upmost importance to maintain its healthy tone and texture all year round. 1. After a long day of work and before going to bed, make sure to always remove your makeup. This allows the skin to breathe and regenerate as you sleep. NEUTROGENA Makeup Remover Cleansing Towelettes($6.49) are perfect to dissolve all traces of dirt and remove stubborn, even waterproof makeup with just one swipe, leaving a clean and refreshing feel. 2. Hydration should always be part of your beauty regimen. Once you have removed all your makeup, apply NEUTROGENA Naturals Vitamin Nourishing Night Cream($12.99), a soothing moisturizer formulated with multi-vitamins that replenish moisture and essential skin nutrients. 3. In the morning, take an uplifting shower with a refreshing product that will prepare your skin for the rest of the day. NEUTROGENA Oil Free Acne Wash Pink Grapefruit Foaming Scrub($6.99) is ideal for a soothing cleanse as it is formulated with gentle microbeads to smooth away skin roughness with 100% naturally derived grapefruit extract and vitamin C.
4. Always remember to apply sunscreen before putting your makeup on in order to protect your skin from the sun's damaging ultraviolet rays. For a complete, protective solution try NEUTROGENA Visibly Even Daily Moisturizer SPF30 with Helioplex($13.49). This innovative formula provides protection from UVA/UVB rays and is clinically proven to visibly even out skin tone and reduce the appearance of fine lines and wrinkles - all within 2 weeks of consistent use! 5. For a rested and natural look, diminish the appearance of puffiness and dark circles with an easy-to-use formula that quickly covers imperfections. Apply NEUTROGENA HEALTHY SKIN Brightening Eye Perfector Broad Spectrum SPF25 ($11.99) for a flawless, on-the-go solution with a patented blend of antioxidants clinically shown to de-puff and treat the appearance of dark under eye circles. 6. Finish off by applying some lipgloss as you head out the door. A hint of color always adds a touch of elegance and brightens up your face. Conditioning lipgloss, such as NEUTROGENA MoistureShine Gloss($8.99), also softens and protects to improve the healthy look and smoothness of lips over time. After completing this routine you are now ready to show off your healthy glowing skin this holiday season! 1 lucky reader will win all the products mentioned above to start their Holiday Skincare Routine! I always wondered how the pink grapefruit facewash is! !